In the food service business, nothing beats the convenience, versatility, and value of insulated foam. 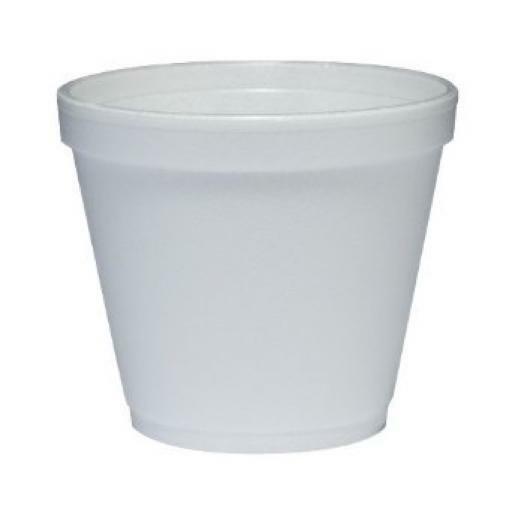 Whether you like your food hot or cold, this Dart Solo white foam food container sometimes referred to as a food cup will keep food at its proper serving temperature longer. Sold in sleaves of 50 or 1000 per case. Size : Top Diameter: 3 1/2" / Bottom Diameter: 2 5/16" / Height: 2 7/8"
8oz 237ml Dart foam containers. Perfect catering food packaging for sauces, dips, soup and other side dishes.